Situated in Haute-Savoie, Samoëns is an ideal family destination offering more than 250 km of ski slopes as well as a wide array of different winter activities. It is also an authentic little mountain town that has managed to preserve its traditional architecture. 600 km from Paris on autoroutes A6 and A40 till exit 19 then on roads D1205 and D907 till Samoëns. Altibus bus from Cluses to Samoëns (18 km). Flights from all over Europe to Geneva, then HelvéCie bus from Geneva airport and railway station to Samoëns (61 km). Reduced rates for children under 16 years old and seniors over 61 years old. 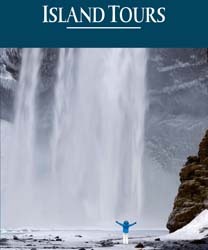 Information, sale of weekend packages including train + transfers + lodging. Nestling at the foot of the imposing Criou peak, in the Giffre valley, at 720 m of altitude, Samoëns is without doubt the French ski resort that has the most beautiful architectural heritage. By the way it is the only one listed as a “Ville d’Art et d’Histoire” (City of Art and History), a label granted by the Ministry of Culture. Once located on an important road leading to Switzerland, this city of 2400 inhabitants was indeed a strategic and commercial crossroad as well as a rich agricultural centre as it owned numerous pastures on the slopes of the surroundings mountains. All that brought it a prosperity witnessed by ancient wealthy middle-class stone houses sometimes adorned with sundials and several monuments. La Grenette, an old 16th century covered market that stands nearby the “Gros Tilleul” (large lime tree) 9 m in diameter, which was planted in 1438. Notre-Dame de l’Assomption, a 16th century collegiate church that encompasses remains of a Romanesque one. The city hall - formerly known as the Château de la Tour - that was built during the 16th century. The very beautiful 18th century Bourneaux fountain where water spurts from the mouth of human figures. Most of these buildings were done by the Frahans, a local brotherhood of stonecutters and stonemasons that were once worldwide renowned. Two craftsmen still perpetuate this tradition. In addition a 4 ha alpine botanic garden named La Jaysinia gathers 8 000 wild mountainous plants from all over the world including 5 000 varieties of flowers. It was commissioned and inaugurated in 1906 by Marie-Louise Cognacq-Jay, who was born in Samoëns and who went on to set up La Samaritaine department store in Paris. The Tourist Office offers guided tours to discover all these monuments. But there is even more to see. In the surroundings, 9 villages also possesses a rich heritage including traditional wooden farmhouses and their typical outbuildings, the mazots, as well as 17th century baroque chapels with onion dome. There, several dairy farms produce tasty cheeses such as Abondance, Reblochon or Tomme de Savoie. 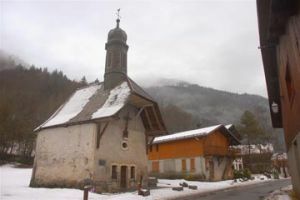 In winter some of these villages can be reached by cross-country skiing as a network of 49 km of trails criss-crosses the Giffre valley and go as far as the spectacular Sixt Fer-à-Cheval corrie. This natural semicircular amphitheatre is made up of 500 m to 700 m high cliffs and in the background summits reach 3 000 m.
It does also exist itineraries for snowshoe trekking and dog-sledding. Unfortunately, due to the moderate altitude, the snow cover of the valley is not always sufficient to practice these Nordic sports. But, at 1 700 m of altitude, the Joux Plane area offers 30 km of cross country trails open all winter as well as sledges tracks. A free shuttle bus serves this area. However Samoëns is above all an alpine ski resort. From mid December tourists wandering around with their ski gears remind it. The city is indeed at the gates of France’s fifth largest ski area : the Grand Massif that has 69 ski lifts and 265 km of pistes spreading between 2500 and 900 m of altitude. 14 black runs, 53 red, 60 blue and 17 green mostly facing the north which guarantees to have a good snow cover even at the end of the winter. And, in case of climatic problem 218 snow canons allow the opening of a good number of tracks at any time. There is also a smaller, but slightly cheaper ski area called Massif with 145 km of pistes. Getting to these ski areas from Samoëns takes only 8 mn with the Grand Massif Express, a gondola lift departing from the edge of the town and served by free shuttle buses. It leads to 1 600 m of altitude from where the skiers can enjoy a great panorama over the Mont Blanc. A viewpoint that is also accessible to the pedestrians. Spreading over several crests and combes, the Grand Massif offers a wide range of sceneries which one never get tired of : alpine meadows, rocky promontories, forests. So there are a variety of runs to spoil all grades of skiers. Beginners thus have at their disposal a specific area located between 1500 and 1600 m of altitude including 26 km of pistes and 7 ski lifts. There are also some nice green tracks like the Marvel one, a 5 km long run that goes through the heart of a forest over a century old. As to the expert skiers they have a large choice of relatively technical black and red runs while people fond of freestyle can show their skills in three snowparks - named jamparks - of different levels with whoops, series of banked turns, tables, hip, handrails and border cross. The easiest one is specially designed for kids. Free riders too have their heaven, the Combe de Gers, where is a secured but not groomed vertiginous slope with a 800 m drop. Lastly the Grand Massif has one of the finest track in the Alps : the piste des Cascades. Quite easy, this 14 km long blue run takes you from the summit of Les Grandes Platières at an altitude of 2 500 m down to the village of Sixt Fer-à-Cheval located 1 700 m lower. A great descent through alpine meadows and forests on which there are neither ski lift nor buildings on sights. Only chamois are to be seen quite often. Quite a surprise, there is a phone booth standing in a curve, in the middle of nowhere. Give a call and a snow-bike comes to pull you up to the lake of Gers, only 500 m away, where a refuge serves food and drinks. An awe inspiring place where it is possible to sleep and common to spot chamois. Lovers of unspoiled nature can also do ski mountaineering. Several itineraries lead up to 2300 m of altitude, till the Swiss border, and offer superb views over the surroundings summits : Mont Blanc, Dents Blanches, Dents du Midi. Lastly, the Grand Massif ski area is a well-known spot to do off piste ski, telemark and speed riding, a new winter sport in which skiers equipped with a mini parachute fly parallel to the slope, leapfrog over rocky ridges and glide above fields of snow. However kids have not been forgotten. Labelled as a “Famille Plus Montagne” resort, Samoëns offers many facilities suited for the younger ones. At the top of the Grand Massif Express gondola lift a kindergarten has a landscaped layout designed especially for children from the age of 3 who have never skied before and are learning to. Downtown, a day nursery run by professional specialists welcomes every day 3 months to 6 years old children and families can also go to the Maison des Petits Montagnards, a free centre equipped with toys and games for children aged from 18 months to 6. As to the adults, they find plenty to do in Samoëns that is dotted with bars, fine restaurants, spas, a cinema, a disco and an ice skating ring.